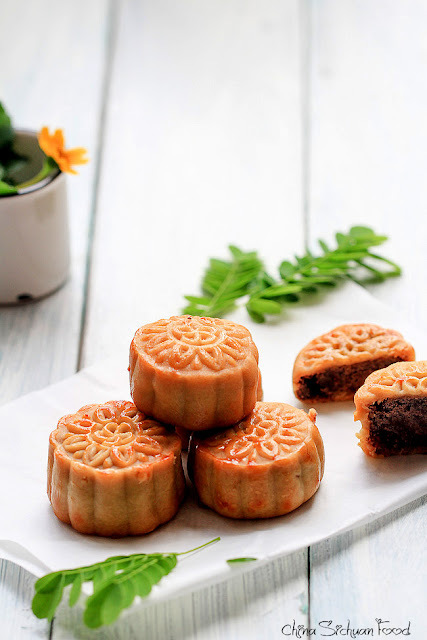 Mooncake festival also known as Chinese Mid-autumn day is my birthday and I am really excited that it is coming. It is celebrated on the 15th day of the 8th month on lunar calendar. I was born 28 years ago and recently I am quite busy with my mooncake festival gift for my parents and friends - Chinese Moon Cake. There are indeed many types of Chines moon cakes - snow skin moon cake, ice cream moon cake, fresh pork moon cake etc. This version I am introducing today is one of my favorite Moon Cake Recipes- traditional egg yolk mooncake. The best match of egg yolk might be lotus seed paste. But I am quite worried about whether this ingredient is too difficult to find. So I use red bean paste, which turns out to be great and perfect too.